Electrical heating of New Post warehouses. 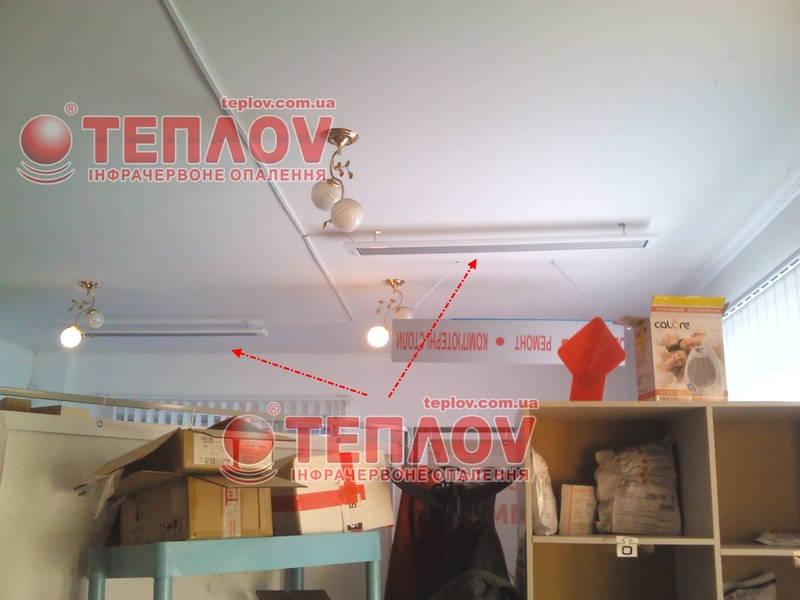 Infrared heaters Teplov are more than 10 years successfully used in the service sector and heat dozens of restaurants, supermarkets, shops, bank departments and sales outlets. Electrical heating of warehouse at the different enterprises belongs to our sphere of activity. 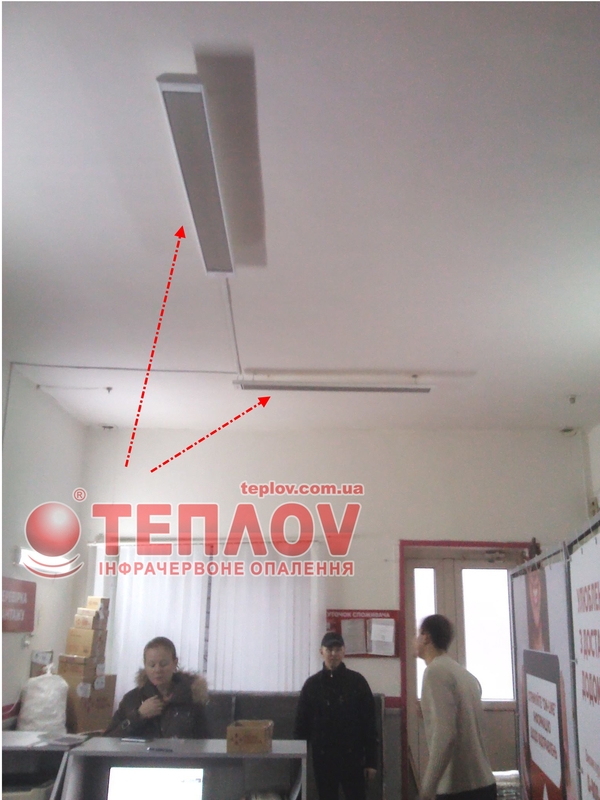 Specialists in sale, installation and adjustment of infrared heating systems Teplov at the whole Ukraine are the official representatives TM Teplov and warrant qualitative interaction of elements of the installed system, which may includes not only the heaters of various power but a special thermoregulators for comfortable temperature control. 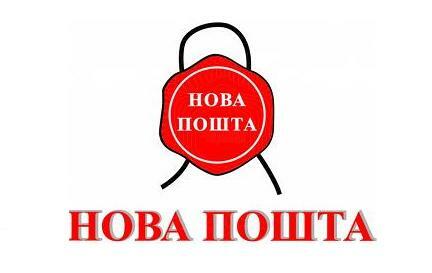 Production Company “Ukrprom” in its turn irreproachably looks after the abidance of standards during the production of heaters. Also electrical heating of warehouse is installed in any convenient moment for you, literally for a week without capital overhaul and additional discomforts, the Teplov equipments are installed fast and easy with the possibility of the subsequent dismantlement. 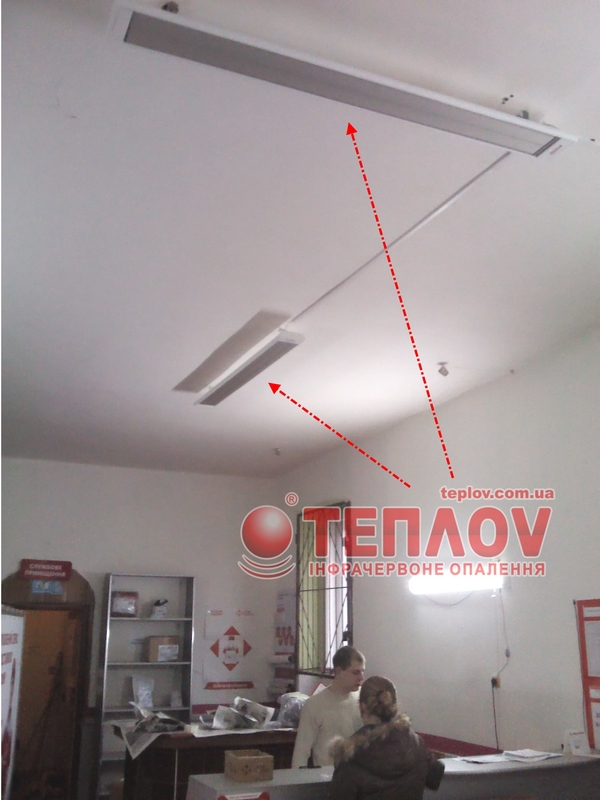 Quite recently Company “Ukrprom” the producer of infrared heating TM Teplov collectively with the official representative in Carpathian region Yankovskiy Roman have finished the works on heating of two new objects – New Post departments in Perechin and Great Beresnom. The representatives of popular logistic service “New Post” addressed to us for creation of economical system, because on the electrical heating of warehouses shouldn’t waste large sums, which often are at usage of convective heating. The process of calculation and planning of the system didn’t take a lot of time, because we got all materials immediate. For understanding how many heaters will be installed as a result, we use indicators of floor space of premise or the zone which is necessary to heat, heights of ceilings, heatloss level (depends on the constructions, its “age”, materials, glazing percent and from the specific of work this or that firm, organization, enterprises). At first sight it seems that heating of New Post departments is a simple installation of several heaters of household series, however we approach to the matter more fundamentally. Heating of the warehouse has its own features. On our example, such features for New Post departments became the process of work of the service. Despite of main part of work consist of reception and delivery of clients parcels, you shouldn’t forget about the regular shipments of delivering parcels to the warehouses. This means that streams of cold air cools the premise much quicker at the time of unloading of parcels from throughout of Ukraine and entering their to warehouse. Surely for such cases we recommend an installation of infrared heaters because they provide an economical electrical heating of the warehouse, that radiate heat directly reaches the objects and doesn’t blow out of the room as the warm air, primarily heated with other kinds of systems of heating. Electrical heating of New Post warehouse.